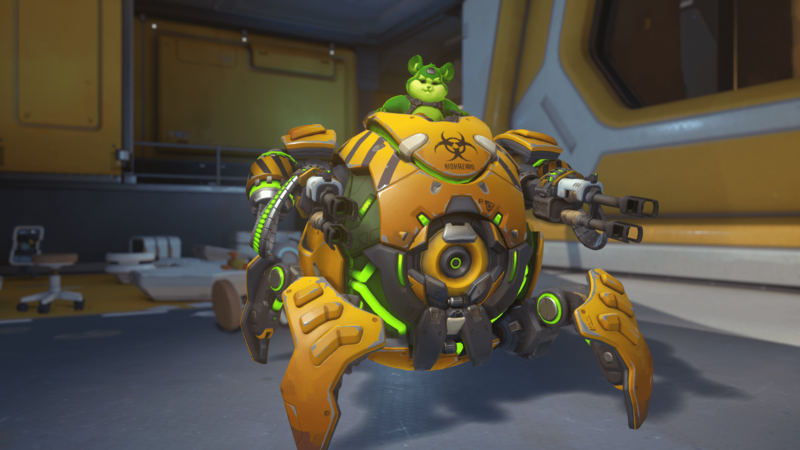 Check out skins, emotes, & more for Overwatch's newest hero, Hammond the Hamster – AiPT! Overwatch’s newest hero possesses the cutest of skins, emotes, victory poses and more. Hammond the hamster aka Wrecking Ball is finally coming to the Overwatch live server next week, July 24. To celebrate the announcement we’re giving you a look at Overwatch’s newest tank’s skins, emotes, victory poses and highlights. If you don’t want to wait until next week to check out all his new sprays, highlight introductions, emotes and victory poses-you don’t have to! Well if you’re PC player that is (sorry console gamers). All of Hammond’s new digs are available on the PTR right now for you to enjoy. In the mean time you can take a look right here.